This program provides students with an opportunity to carry out sustained and independent research. The thesis should demonstrate a critical application of specialist knowledge and skills in a chosen area of study and make an original contribution to the discipline. 4 year honours degree in a relevant discipline which includes a substantial research component, equivalent to at least 25% of 1 year of full-time study. 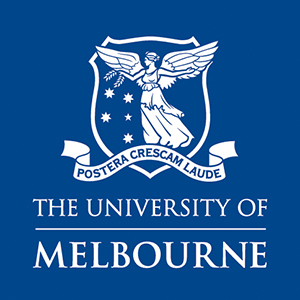 Applicants should have achieved and have achieved a weighted average mark of at least 70% in the final year subjects, (or University of Melbourne equivalent), with a minimum result of 75% for the research component, or masters degree in a relevant discipline which includes a substantial research component, equivalent to at least 25% of one year of full-time study. Applicants should have achieved a weighted average mark of at least 70% (or University of Melbourne equivalent) with a minimum result of 75% for the research component, or a qualification and professional experience considered to be equivalent, and applicants must also include a research proposal, referee reports and an endorsement from a prospective supervisor. 30,000-word thesis; or coursework and 20,000-22,000 word thesis. Master of Arts graduates may proceed to further research in a Doctor of Philosophy degree.